FIGT is fortunate to have supportive sponsors. This is the fourth of a short series of articles highlighting those whose invaluable financial and professional support helps keep FIGT growing. Another multi-year FIGT sponsor is Worldwide Speech, owned by Erin Long. Erin has lived as an expat for many years, and understands the unique lifestyle and choices expat families must make when choosing the best education options for their children. 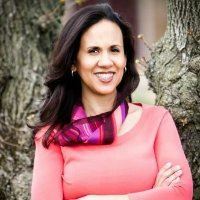 She and her team are familiar with the nature of a mobile, cross-cultural education requiring children to transition from one international school to the next. This is reflected in the wide variety of educational services they offer online, including speech and occupational therapy, reading and math intervention/tutoring, Individualized Education Program (IEP) equivalents, and teacher training for classroom modifications. Erin points out that she also personally gains invaluable information at the conference as she and her family live a life in transition as well. Through FIGT, she has learned about the effects constant moving has on children, and uses this knowledge to inform her decisions, both professionally, and with her own children. Read more about our great sponsors from our 2018 Conference here: Expat Journals, Access, International Family Law Group. We are excited to announce the theme for the first FIGT conference to be held in South East Asia! Families in Global Transition 2019 Conference is welcoming new perspectives to inspire and support people in transition using the theme ideas: Connect. Lead. Change. The Request for Proposals (RFP) describes the theme further. Connect: How the challenges and advantages of virtual and physical connections (or disconnections) impact values, families, careers, identities, friends, traditions, languages, cultures, and rituals. Lead: Ways of inspiring and cultivating leadership, qualities of leaders, and research on the subject matter as directly relevant to people in global transition. Change: How global mobility drives personal and professional change, innovative thinking, and adaptation to a constantly shifting environment. Program Director, Daniela Tomer, revealed that the theme emerged from the experience of the 20th Anniversary Conference in The Hague in 2018. There, the Program Committee observed that FIGT has become a platform for connections to be made, for leadership to be developed and displayed, and a platform to call for and empower change. For those who haven’t encountered us before FIGT is a welcoming forum for globally mobile individuals, families, and those working with them. We promote cross-sector connections for sharing research and developing best practices that support the growth, success and well-being of people crossing cultures around the world. To learn more about the RFP and how to submit a proposal click here. FIGT is fortunate to have supportive sponsors. This is the third of a short series of articles highlighting those whose invaluable financial and professional support helps keep FIGT growing. Expat Journals, guided journals to support the wellbeing, growth and development of successful transitions for expats on their global journeys, is the brainchild and joint venture of Trisha Carter − organizational psychologist, cultural intelligence expert, and international coach and trainer with expertise in cross-cultural adaptation – and Rachel Yates – web designer, writer, speaker and creator of online relocation resources for individuals and families. Recently the dynamic duo shared insights about their business, sponsorship of FIGT, and what they gain from attending the annual conferences. Sponsorship has also provided them both inspiration and ideas for product development. Read more about our great sponsors from our 2018 Conference here: Worldwide Speech, Access, International Family Law Group. The 2019 FIGT conference will be held in Bangkok, Thailand. FIGT President, Kristine Racina has signed an agreement with the NIST International School to host the conference on 26th -28th April 2019. FIGT Board is honored to host the 2019 conference at the NIST International School in Bangkok — a school that recognizes the impact of global transitions and aims to help its students build resilience for these transitions. Many of our conference attendees will feel at home in an international school environment having experienced it themselves as children or parents, or having worked in that environment. More details will be released soon including the conference theme and a request for proposals. To be sure you stay up-to-date, sign up for our newsletter. For now, block out the dates, 26-28 April 2019 in your diary and start spreading the word on social media using the hashtag #FIGT2019. FIGT is fortunate to have supportive sponsors. This is the second of a short series of articles highlighting those whose invaluable financial and professional support helps keep FIGT growing. 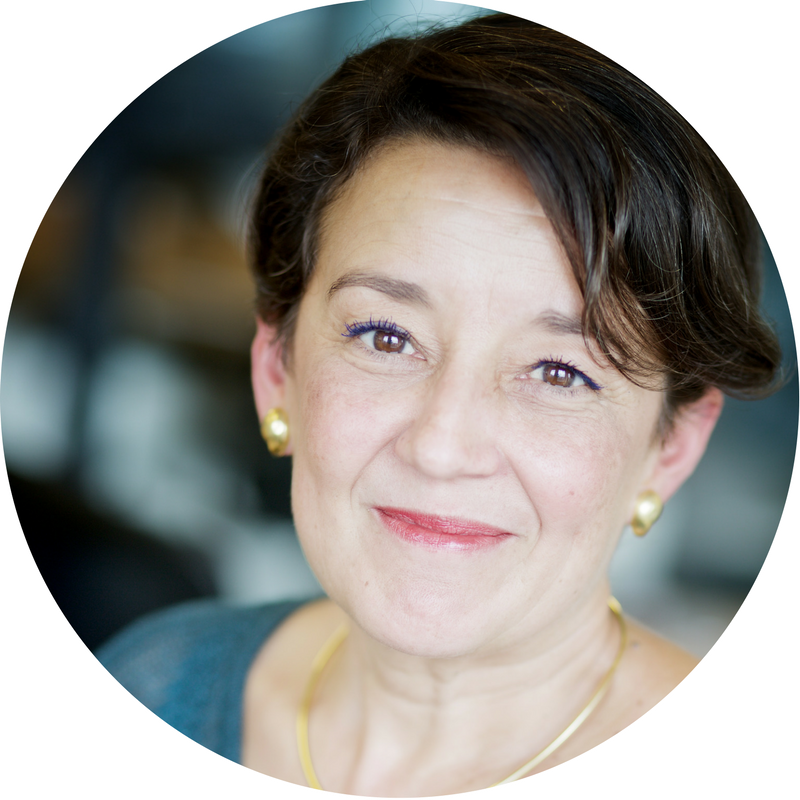 Recently Deborah Valentine, Executive Director of ACCESS - the dynamic volunteer, not-for-profit organization serving the needs of the international community in The Netherlands – was asked what ACCESS services she wanted the FIGT community to be most keenly aware of, she shared these insights. As for why ACCESS chose to sponsor the FIGT organization, Deborah drew parallels between the two. 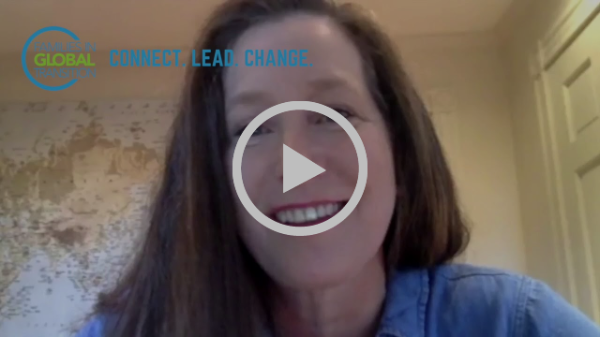 In terms of being a member and attending the annual FIGT conference, Deborah shared the value she gains. Read more about our great sponsors from our 2018 Conference here: Worldwide Speech, Expat Journals, International Family Law Group. We can hardly believe it’s been three months since our successful 2018 conference in the Hague. Since then, some talented writers within our community have written blog posts sharing their reflections and takeaways from the conference. Here are some highlights from FIGT members. “It can be extremely stressful when we or someone we love becomes ill abroad. As well as the (very normal) physical and mental turmoil of illness, we often find ourselves dealing with additional challenges that are unique to international life. Thank you to those writers for writing about your experience and bringing the FIGT message out to the wider community. Only a small fraction have been highlighted here but to make sure you don’t miss out on great posts from the members of our community, LIKE and FOLLOW our Facebook page, Twitter and LinkedIn. We hope you will join us too at next year’s conference. Sign up to the newsletter so you don't miss all our latest news. Introducing a new monthly message from our Membership Chair: for members & non-members alike. An opportunity to remind the community of the treasure of resources, solutions and opportunities this broader community has to offer. Such a wonderful message to have received, and of course, in view of the new membership strategy, which is all about widening the reach and impact of FIGT as a whole, a testament to the small steps we have been taking in doing just that. a) Are YOU looking for a resource, contact perhaps at your point of destination, want to know what specialisations exist within FIGT? VISIT our Public Directory. b) Are YOU listed in the Public Directory? DO ensure your profile is updated to reflect your own ‘focus & expertise’ – which are searchable terms. Login in to your profile, and complete the blanks. c) Want to be listed in our Public Directory? BECOME a member. FIGT is fortunate to have supportive sponsors. This is the first of a short series of articles highlighting those whose invaluable financial and professional support helps keep FIGT growing. Longtime senior-level sponsor IFLG’s aim is to inform, educate, distil and advise families about complex international family law matters so that they can better prepare and be aware of the potential legal implications of a move abroad with their family in the event their relationship runs into difficulties. Recently, IFLG Partners David Hodson and Lucy Greenwood shared insights about their firm’s interaction with FIGT. As for why IFLG chooses to sponsor the FIGT organization, David offered two reasons. In addition, Lucy offered a third reason. When asked why they attend the annual FIGT conference, both responded readily. Read more about our great sponsors from our 2018 Conference here: Worldwide Speech, Expat Journals, Access. In March, I attended The Families in Global Transition Conference in The Hague as a Parfitt-Pascoe Writing Resident. I felt like I had stepped into a garden of my favorite flowers. Here were people like me from all over the world and we connected like a global family. Everyone had their own story to tell about their ride on the rollercoaster without seatbelts, and this had been the place to share them. The experience was to change the lens through which I viewed the past, the present and the future and gave another dimension to my vision of the world. The Netherlands had always been one of my ‘homes’ and it held a special spot in my heart. This was my first overseas move and the birthplace of two of my children. Settling into my seat on the flight back to Adelaide I reflected on the previous struggles I had felt going backwards and forwards to one home or another and the pull of my heart to the places I was leaving behind. As the plane climbed steeply into the murky sky I felt the elastic that had been holding me here snap and release me. I was finally able to do this recently on leaving the UK and I realized how important it was to say goodbye and step confidently into the next chapter. To an expat home can mean many places but quite often we leave the door swinging on its hinges and us still hanging onto the door handle. I love the fact that I have found another sense of home in the community of FIGT and I will be back. Three years ago while we were living in Malaysia Andy was approached to fill a new role in South Australia. My gut instincts told me no and the first words out of my mouth were, “ I am not moving to Adelaide!” Renowned for its parochial attitudes and being ‘clicky’ I was warned it would be a difficult place to break into. But I was confident that if I tossed the same ingredients into the bowl, set the temperature I would get a cake I liked eventually, so we packed up the family and moved in search of a new adventure. We landed on a dark windy night into a deathly quite airport. Pushing our trolleys through the terminal I felt like a goldfish knocked out of its warm, safe bowl. I felt a rising panic at the shock of what I had done and for once I was lost for words. The terminal doors slid open and we were blasted by freezing cold air. Moving here had meant yanking up all my anchors and losing the support system that had rooted me there. Our children had left Marlborough College Malaysia and their expat friends and and we had said goodbye to a full and varied social life, ‘Best of British’ at The British Club and twice yearly trips back ‘home’ to the UK. All had been severed in one big blow and the loss of so much life giving blood drained me and reduced me to a blubbering wreck. As winter took a hold I became withdrawn and depressed, I was acutely homesick for my old life and an angry, tearful and resentful wife. Lonely and isolated I became crippled by panic attacks and struggled to sleep. I was ready to pack my bags and begged Andy to leave and go back. But as we all know going backwards is like paddling a boat against a current. I knew I was caught in a rip tide and that meant to survive there was only one direction to swim. As I stood at the front door of our new home I could feel the air in my throat constricted. I felt trapped, like Rapunzel in the tower. I didn’t know a single person, and I felt invisible. I had arrived in new places before but this time the shock and contrast was debilitating. I had left behind a feeling of belonging, a life of friends and kids and dogs dropping in for a swim and had it replaced by a void of empty days that I didn’t know how to fill. It got harder to get my head off the pillow and I cried with sheer frustration and grief. I longed to be able to drive to see someone or just pop around the corner to a friends for coffee and Mum and Dad were sadly so far away. The kids were feeling the same loss and I felt so guilty to have uprooted them once more. They too had lost their sense of belonging, their links with the UK severed. They became these ‘different’ children from somewhere else. We had turned our world upside down and inside out and it felt like a wrong turn. Inside our new home we clung to each other. Our warmth and closeness being the only thing we had. We spent the long dark nights just talking. Inside represented my family, my security and the nest for us all; we talked endlessly about everything we had done before, what we missed and what we felt. It was like pulling the meat from the carcass to get to the bare bones, nothing was left unsaid. I questioned my decision over and over to come to this place so far from where we wanted to be, so removed from friends, from the people we loved and who loved us. In my backyard, this became my private space where I could be myself and keep my links to the big wide world. Sitting on the balcony with the spectacular views of the stepped English gardens opposite and the graceful alpacas roaming in the paddock next door, I reached out to my anchors, my support system of friends and family around the world. At the front door I was this new comer with three heads, someone from somewhere else who had stories that no-one wanted to hear. Here I could keep connected to my tribe scattered near and far around the world. My phone was set with all the time zones and having regular conversations made me feel energized and alive. My Global Backyard flourished and grew as I watered it regularly and travelling to attend FIGT introduced me to new individuals around the world, another tree to watch flourish and grow. Nikki Cornfield is a British expat who grew up in the UK. She currently lives in The Adelaide Hills, a beautiful wine growing area of South Australia with her husband and three children. She started a career with British Airways, indulging her passion for travel but hung up her wings in 2002 to make her first move overseas with her new born baby. On a cool morning in early October, I sat at my desk with a hot coffee in hand to find an email from Jo Parfitt. “I am delighted to offer you the Parfitt Pascoe Writing Residency (PPWR) scholarship to the FIGT 2018…” were Jo’s opening words. Sitting at my desk with my mouth gaping open — I was dumbfounded… I must have read her email three times. At first, I was hesitant to accept. I’m not really sure why… maybe it was the fact I was making a commitment to something other than the school PTA or that I hadn’t even told my husband I’d applied for the scholarship. But, deep down I knew I wanted to embrace the opportunity. And, if I’m being completely honest… I was pretty chuffed with myself for being selected! I had turned 40 this year, and had been an accompanying spouse for almost 10 years. It was time for me to start figuring out who I was again. The PPWR and FIGT was one of the steps I needed to take in the journey of redefining myself. I am a planner. Type A to the bone. But, no matter how far in advance one lays the foundation for execution, it always seems like something goes off the rails at the last minute. Of course my husband ended up having to travel the same week as FIGT 2018, leaving me to figure out what to do with our children. Realistically this wasn’t a hard task — my friends stepped up without hesitation. But, the thought of our family being spread across three different continents had me cringing. What if something happened? All I could think of was #expatlife. When #expatlife popped into my head, it made me realize the people who would (hopefully) understand this concept were those awaiting me in The Hague. The entire reason for this trip was about, because and for #expatlife. As I nervously boarded the plane, I began thinking about all the wonderful things I had heard about FIGT. Simultaneously I couldn’t resist feeling excited, anxious and curios about the experience before me. I think part of my nerves were due to the fact I was not only attending the FIGT conference for the first time, but as a PPWR writer too. For me it was time to ‘show up to the dance’ and really get out of my comfort zone. The FIGT conference is full of smiles, hugs and laughter. It has a familiar atmosphere I can only describe as a family reunion. My first day I hovered against the wall like a wallflower. FIGT may be like a family reunion, but it was a family I wasn’t part of… I knew no one. I take that back — I knew no one in real life. 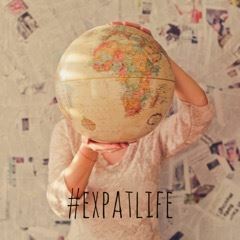 The expat circle is a small community spread around the world and connected by people and words — words in books, magazines or blogs written by individuals just like me scattered around the globe. It finally dawned on me — I was surrounded by virtual friends… bloggers, writers and social media influencers. I didn’t ‘know’ them, but I felt like I did. But, here’s the best part: The moment I felt like I became part of the ‘family’ was when someone out of no where walks up to me and asks, “Are you My Theory On Blooming?” I was stunned. Someone knew me too. This small moment changed my inner-self’s view about being part of the FIGT conference. It only takes one comment to change your perception or create a connection… and it can come from anyone. It can be in The Hague, with someone you’ve never met, who lives a world away and speaks a different language than you. I’m betting anyone you speak to at an FIGT conference can relate to you in some way. The FIGT conference reminded me that I’m not on this crazy rollercoaster alone. #expatlife is not always the glamorous and exotic skewed reality so many people think it is. It’s real and raw with some added bonuses. I learned a lot about #expatlife and myself during FIGT 2018. The knowledge of #expatlife is in abundance during the FIGT conference with experts on resilience or TCK’s or transitions. FIGT is not all academic or scientific theory — It’s the real life stuff too. With real people, who live real lives all over the world. I found FIGT to encompass all aspects of #expatlife. And, it was a great opportunity to learn, grow and help redefine myself in this small world. This is FIGT to me, and this is #expatlife. Claire Hauxwell is an American living abroad, who has over 9 years of expat experience. She loves the life she lives, but recognizes her unconventional lifestyle is not for everyone. Claire choses to embrace the challenges expat life throws at her, and opts to bloom where ever she is planted. David, her husband of 15 years, along with her two daughters and two dogs, navigate a global life full of adventure that has lead them to Europe, Latin America and Africa. Claire is the author of the blog My Theory On Blooming. Here she ponders her off-beat lifestyle and the trials and tribulations of life living abroad, all while not taking herself too seriously. Claire’s theories are her thoughts and concepts about how to navigate this crazy thing we call life — no scientific proof, it’s just like having a conversation with a friend.